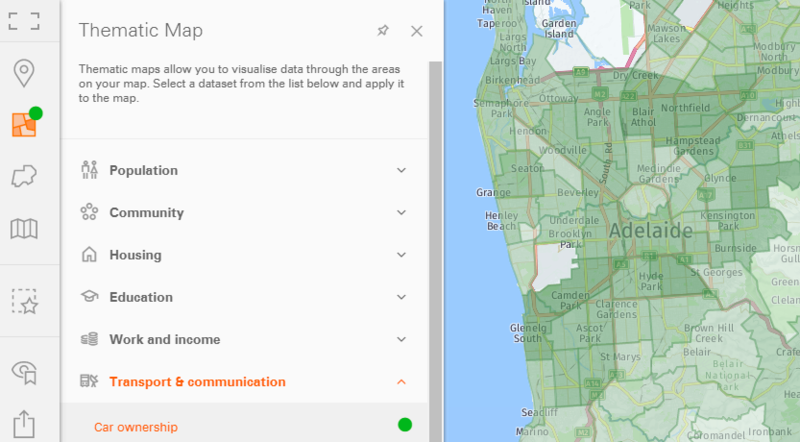 A web-based mapping application to analyse Census datasets spatiallyMore useful analysis. Less time in spreadsheets. 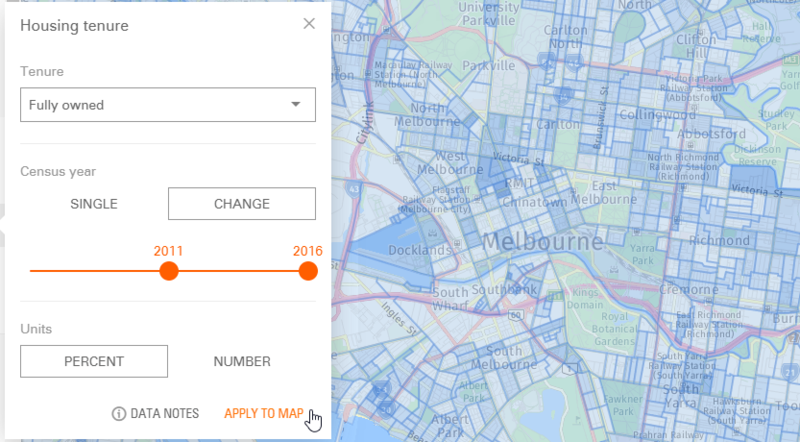 Explore demographic data from the Australian Census. Visual, interactive and all in one place. From big picture trends to detailed information for local areas, it’s all there. Forget wrangling figures in spreadsheets. 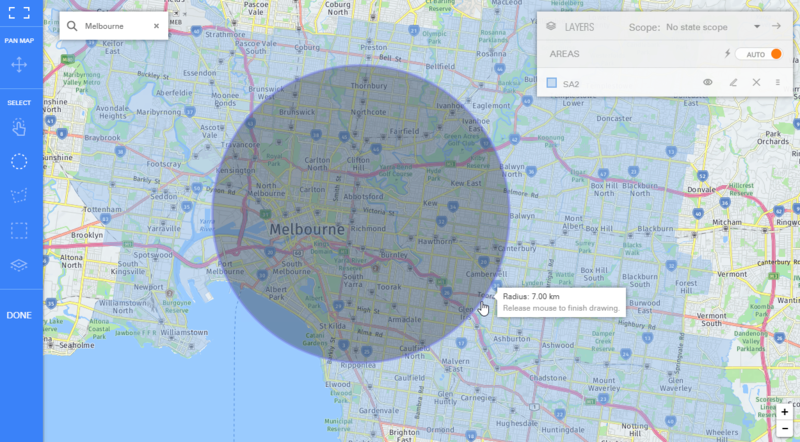 Visualise population using an interactive map. Choose a topic you’re interested in and a geography that is relevant to your needs. It’s easy, intuitive, and more fun than two hours of pivot tables. Access a range of topics captured in the Census by the Australian Bureau of Statistics. See the distribution of your population for topics including gender, age, ancestry, religion, housing, education, income and many more. Interested in a particular topic? Ask us what’s included. Point-in-time data is helpful sometimes, but the most compelling stories come from showing how your place has changed over time. Choose a single point-in-time, or visualise change over time from 2016 back to 2011 and 2006. The place you’re interested in doesn’t always neatly match Census data boundaries. 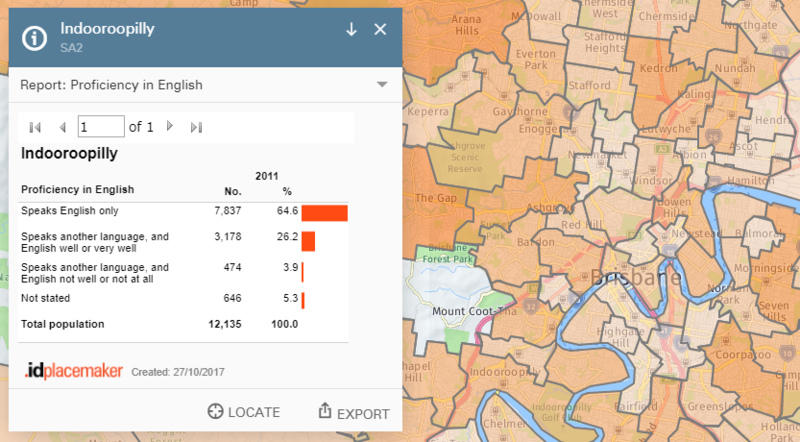 Build your own custom catchment areas that match your needs, then analyse information for your chosen area.